1891: Galton's fingerprint classification system. The online exhibition "Trailblazing: Three and a Half Centuries of Royal Society Publishing" includes "1891: The Proof That Fingerprints Are Unique," which discusses the still-used classification system for fingerprints developed by Sir Francis Galton, a cousin of Charles Darwin. • a carte de visite of detective John Christie, dubbed "the Sherlock Holmes of Victoria police"
Valancourt Books has republished Edward Bulwer Lytton's Eugene Aram (1832); as Lucy Sussex discussed in this article for Clues 26.1, Bulwer Lytton (friend of Dickens and Collins) made important contributions to the mystery genre with Eugene Aram, Paul Clifford (1830), and Night and Morning (1841; go here to read Edgar Allan Poe's review of this book) . 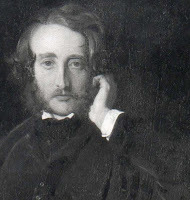 About the image: Edward Bulwer Lytton. Courtesy of Knebworth House. G. K. Chesterton and Notre Dame. • an account of his lectures there in fall 1930: "... there was the man himself, nearly three hundred pounds of him, who, thinking of some delicious aside, would start to chuckle and so convulse the audience before he had said what he had to say, that they were in a constant state of good nature. " 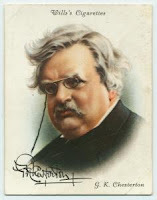 • a faculty admission card to Chesterton's Notre Dame lectures, which reveals that he spoke on history on Tuesdays, Thursdays, and Fridays; and on literature on Mondays, Wednesdays, and Fridays. • online text of the 1912 Chesterton Day by Day, which features Chesterton quotes organized by days of the year. For example, the entry for January 31 is from The Defendant: "The Iliad is only great because all life is a battle, the Odyssey because all life is a journey, the Book of Job because all life is a riddle." New book on "The Man Who Never Was." In the Guardian Euan Ferguson reviews Operation Mincemeat by Ben Macintyre (author of Agent Zigzag, about World War II secret agent and con man Eddie Chapman). The book details the successful British effort to misdirect the Nazis about the invasion of Sicily during WWII. BPL: "Cool and Collected" exhibition. About the image: Houdini poster, ca. 1909. Library of Congress, Prints and Photographs Division. Vera Caspary's Murder in the Stork Club. Crippen & Landru has published The Murder in the Stork Club and Other Mysteries, an anthology of Vera Caspary's short stories. I played a small part in the book, as A. B. Emrys, who wrote the Clues 23.3 article "Laura, Vera, and Wilkie," mentioned that mystery stories, which had only been published in magazines, existed in the Caspary papers at the Wisconsin Center for Film and Theater Research; I suggested that she contact C&L's Doug Greene regarding a possible publication. 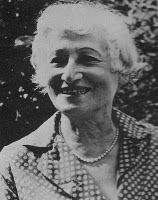 Emrys (University of Nebraska–Kearney) has done significant critical work on Caspary; in addition to her Clues article, she wrote afterwords to the new editions of Caspary's Laura and Bedelia published by Feminist Press. Her introduction to the collection connects Caspary's fiction, play, and film work with events in her life. As Emrys notes (pp. 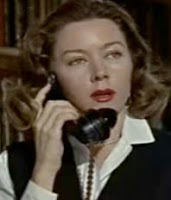 8, 15), Caspary was not a great mystery fan, although she admired the work of Wilkie Collins and Cornell Woolrich, as well as Before the Fact by Francis Iles (aka Anthony Berkeley Cox; filmed as Suspicion by Alfred Hitchcock). The stories continue Caspary's interest in sexual politics and racial issues, and further illuminate her role as a trailblazing writer and professional woman. The menace in her "Stranger in the House" (1943) recalls Charlotte Armstrong or Celia Fremlin. "The Murder in the Stork Club" offers a possible future scenario for the relationship between Laura's Mark McPherson and Laura Hunt, as it features a detective husband and his wife, a writer of radio programs (echoing the Ann Sothern character in A Letter to Three Wives, on which Caspary served as screenwriter). It also includes a Christie-like gathering of suspects at the glamorous club. For my take on Caspary's wry autobiography, The Secrets of Grown-ups, go here. ... to my mind crime is sordid and inevitably associated with gangsters, frustrated choir singers in dusty suburban towns, and starving old ladies supposed to have hidden vast fortunes in the bedsprings. It is indeed sad to think of a world with no new entertaining adventures with the smart-mouthed Spenser and the staunch, frankly terrifying Hawk. Despite the fact that I coauthored The Robert B. Parker Companion, I only met Parker once, as the photo below shows. I interviewed him in 2006 for a Bryant Park program just outside the New York Public Library (go here to listen to the interview). He was jovial, unsurprisingly snide about Hollywood, and, after he'd said he wasn't a short story writer, touchingly pleased when I disagreed and mentioned "Surrogate" (1982; rpt. in New Crimes 3, ed. Maxim Jakubowski, 1991). Most of all, I was impressed by his serious commitment to taking care of his family. If we wanted to name favorite Parker novels, I'd have to mention Promised Land (1976), in which Parker discusses Cape Cod as an unfulfilled ideal of paradise, and A Catskill Eagle (1985). I also really like Potshot (2001), in which Parker marries the mystery and the western, following up on his 1970 doctoral dissertation for Boston University where he discussed the evolution of the hard-boiled detective from the western lawman ("The Violent Hero, Wilderness Heritage, and Urban Reality: A Study of the Private Eye in the Novels of Dashiell Hammett, Raymond Chandler, and Ross Macdonald"). About the photo: Elizabeth Foxwell and Robert B. Parker, spring 2006. Photo by Glenn Curry. WCFTR: Kirk Douglas's suspense-related and other work. • Annotated script from "Never Steal a Butcher's Wife" (Suspense, 1950). You can listen to the episode here. Mr. Stimpson and Mr. Gorse. George Simmers on the Great War Fiction blog has another look at the presence of WWI in Patrick Hamilton's work after Rope—this time in Mr. Stimpson and Mr. Gorse (1953) and Unknown Assailant (1955), part of Hamilton's Gorse trilogy. 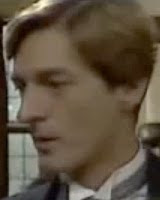 Mr. Stimpson and Mr. Gorse was adapted for television as The Charmer (1987) starring Nigel Havers as con man Ralph Gorse, and one of the blog commenters notes that Gorse is believed to be based on murderer Neville Heath. If you're looking at options in contributing toward the Haiti relief effort, consider AmeriCares. The nonprofit AmeriCares provides medical and other supplies for disaster relief efforts around the world and has a commitment to accountability that I find admirable. Only minuscule amounts of donations are applied to overhead; go here to see the pie chart for the breakdown. 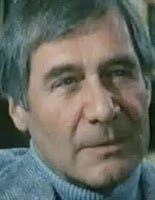 Actor-writer and Yale alumnus Thomas Tryon was born today in Hartford in 1926. His best-known films are probably I Married a Monster from Outer Space (1958), The Cardinal (1962), The Longest Day (1962), and In Harm's Way (1965). His highly successful books include The Other (1971), Crowned Heads (1976; adapted as the Billy Wilder film Fedora, 1978), and All That Glitters (1986). He died of cancer in 1991. The online exhibition "Here Today, Here Tomorrow: Varieties of Medical Ephemera" from the National Library of Medicine's History of Medicine division includes bookplates with medically related subjects. Go here to see sample bookplates from individuals such as Danish actor-book collector Jean Hersholt and physician-writer Oliver Wendell Holmes Sr.
About the image: Jean Hersholt, NYPL. Labels: bookplates, Jean Hersholt, Oliver Wendell Holmes Sr.
A bully reader: TR's favorite books. 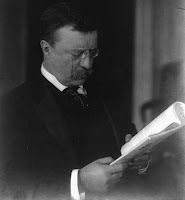 Roosevelt's concentration of mind when reading was quite as remarkable as his ability to read at any and all times and under the most unfavorable circumstances without inconvenience or annoyance. When interested in a book, he seemed to be absolutely dead, for the time being, to all the rest of the world. Noise did not affect him in the least. He could sit in the midst of a talking, shouting crowd and be totally oblivious of and insensible to everything but the contents of the volume in his hands. BBC Open Book: US gangster fiction. Michael Carlson on BBC Radio 4's Open Book addresses a question on US gangster fiction in this podcast, recommending Dashiell Hammett's Red Harvest, Raoul Whitfield, and Elmore Leonard, among other authors. The return of Lady Molly of Scotland Yard and a classic Jack the Ripper tale. It's nice to see that, courtesy of Academy Chicago Publishers, two mystery classics by female authors will be back in print: Marie Belloc Lowndes's The Lodger (1914; Hitchcock film 1927), where an elderly couple begin to think the unthinkable about their mysterious tenant (out in March); and Baroness Emmuska Orczy's Lady Molly of Scotland Yard (1910), where Lady Molly and her maid, Mary Granard, put "the test of feminine investigation" to unsolved crimes (out in May). Lowndes (1868–1947), author of more than 50 books and sister of poet Hilaire Belloc, also created vain French detective Hercules Popeau. Several of her books are based on real cases or are true crime studies; go here to read her 1912 McClure's article on poisoner Marie Lafarge. Orczy (1865–1947), best known for The Scarlet Pimpernel, also wrote some of the earliest armchair detective stories with the "Old Man in the Corner," who related his tales of deduction to an eager lady journalist in a teashop. Ed McBain's "Improvisation" on Selected Shorts. In the Symphony Space series Selected Shorts: A Celebration of the Short Story, Isaiah Sheffer reads Ed McBain's "Improvisation" (2005) in which a pickup in a bar has distinct consequences. Go here for information on the program. Robert Siodmak; Our Man in Havana. Recent additions to BFI Screenonline: A look at The Wicker Man (1973), a rather odd thriller featuring recently departed actor Edward Woodward as a police sergeant; the 1959 noirish adaptation of Robin Maugham's The Rough and the Smooth by The Killers and The Spiral Staircase director Robert Siodmak; and Carol Reed's 1959 adaptation of Graham Greene's Our Man in Havana. Mason, Edwards, Stockton, et al. • Amelia B. Edwards, Untrodden Peaks and Unfrequented Valleys (1890). Bestselling novelist and explorer Edwards was one of the inspirations for Elizabeth Peters's Amelia Peabody Emerson. • A. E. W. Mason and Andrew Lang, Parson Kelly (1899). Liberal Member of Parliament Mason is well remembered for the novels The Four Feathers (1902) and Fire Over England (1936), but he also created Inspector Hanaud (At the Villa Rose, etc.). Writer-critic Lang is best known for his various volumes of fairy tales. • Frank R. Stockton, Afield and Afloat (1900) and Mrs. Clift's Yacht (1896). Stockton is probably best known for the short story "The Lady or the Tiger?" (1882). The Big Lebowski and The Big Sleep. Michael Dirda's Washington Post review here. Indiana University's piece on the coeditor, IU English professor Ed Comentale, here. University of Louisville piece on its contributors here. New York Times blog post here. We at Clues previously got into the act in issue 26.3 with Anthony Hoefer's "'Like tumbleweed drifting across a vacant lot': The Mythic Landscape of Los Angeles in Chandler's The Big Sleep and the Coen Brothers' The Big Lebowski." In addition, Kate Camp on Radio New Zealand discusses Chandler's book here in the program Kate's Klassics. UK vs. US bestsellers, a century ago. Annabel Wynne on the Guardian books blog, in the inevitable summing-up that occurs at the end of a decade, looks back at the popular UK writers of a century ago: Beatrix Potter, E. M. Forster, and, most of all, H. G. Wells. I was curious about their U.S. equivalents, so I looked at the Publishers Weekly bestseller lists for 1909 and 1910, and found mostly names that are not prominent on today's literary landscape. The possible exception, and the only mystery writer to appear on these lists—Mary Roberts Rinehart, for The Man in Lower Ten (1909) and for The Window at the White Cat and When a Man Marries (both 1910). Irish novelist Katherine Cecil Thurston does appear on the 1910 list for Max, but she's best known for the thriller John Chilcote (1904), which was the basis for The Masquerader (1933) starring Ronald Colman. Modern readers might be bemused to see A Modern Chronicle by one Winston Churchill on the 1910 list, but this is the American novelist Churchill, not the budding politician. The Canadian retired clergyman Basil King shows up both in 1909 (for The Inner Shrine) and 1910 (for The Wild Olive). The sentimental The Trail of the Lonesome Pine by Theodore Roosevelt friend John Fox Jr. appears on both the 1908 and 1909 PW lists. Hoosier George Barr McCutcheon appears on the PW lists from 1904 to 1909 (the latter for Truxton King), but he is perhaps best known for Brewster's Millions (1902) and also wrote Anderson Crow, Detective (1920). Britons Charles Norris Williamson and Alice Muriel Williamson appear on the 1910 list for Lord Loveland Discovers America; Alice wrote the mystery A Woman in Grey (1898). So does this somewhat depressing litany beg the questions: What names will still be known a century from now? Whose books will still be read?